Every Wednesday, Katchkie Farms (a community-supported agriculture farm run from a 60-acre organic farm in Kinderhook, N.Y.) delivers our office CSA group a range of fresh produce. Tomatoes, basil, kale, scallions, cucumbers, and some crazy kohlrabi. Watermelon and Sea Salt. I’m always surprised when people have never heard of this. 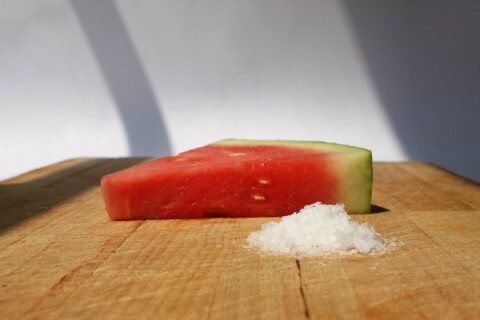 Sea salt adds a perfect balance to the sweetness of a ripe watermelon. 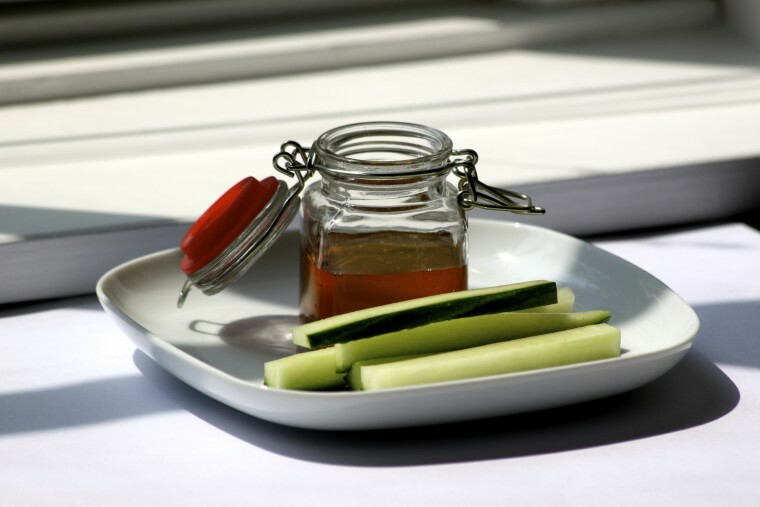 Cut up cucumber slices or soldiers for dipping into honey. The water from the cucumber does wonders at creating a simple syrup from the honey. Tomato and mint are a summer version on our basil routine. Cut tomatoes, mint, plus olive oil and lemon zest and you’ve got a good salad going. 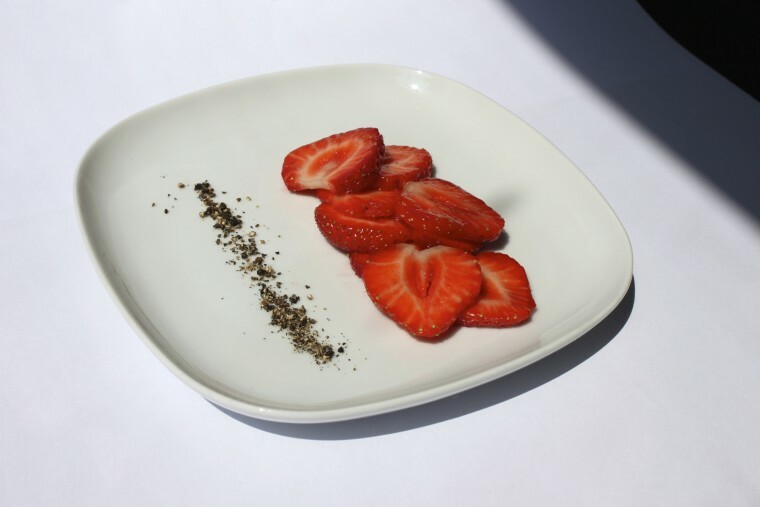 Strawberries and black pepper. Hesitant to try this at first, if only because why mess with a strawberry? But crushed black pepper adds a subtle warmth to the berries. Side note: Why do a workplace CSA? It has been a much easier way for us to keep eating healthy despite our workload. Every Wednesday, we gather in the office kitchen for 10-15 minutes and pick up “groceries.” It’s nice being able to eat fresh, in season, organic produce from a local farm delivered directly to me. And…low carbon footprint to our food supply, healthy food, supporting local business and encouraging their growth. 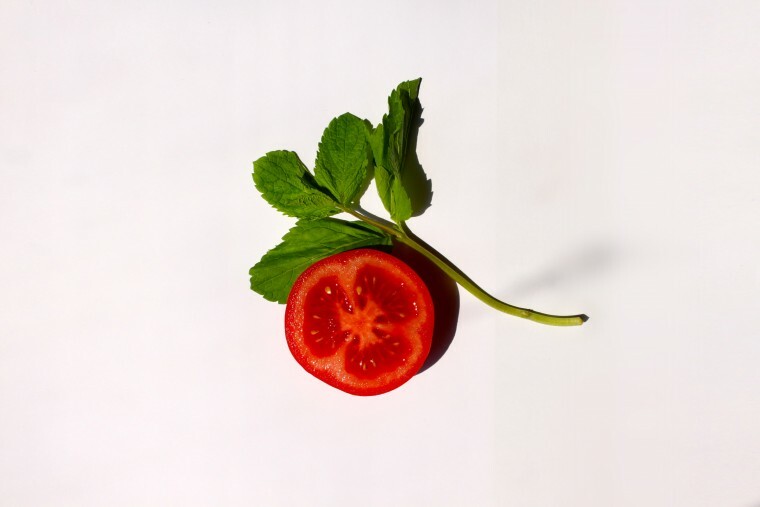 The limitations of in-season, delivered produce have also forced our creativity in the kitchen. How many ways can I cook kale? And, I didn’t end up taking it home with me, but I had never heard of kohlrabi before.